All Ethnic People in Uyghuristan Under the State´s Terror Of China! 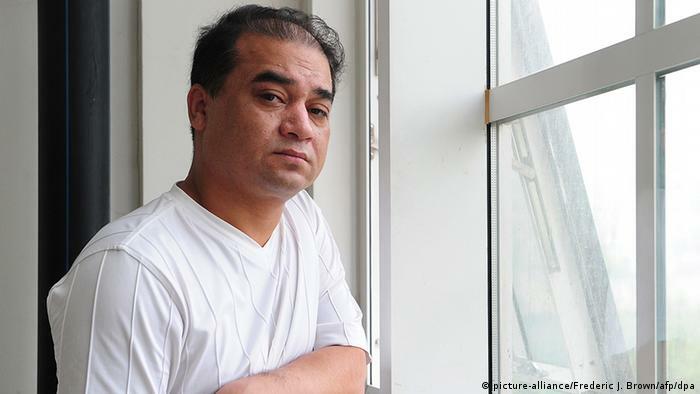 Imprisoned Uighur rights activist Ilham Tohti has won the 2017 Weimar Human Rights award. 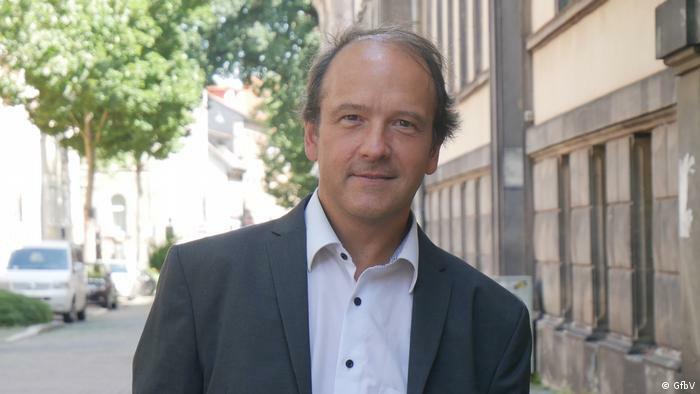 Ulrich Delius from the Society for Threatened Peoples (STP) spoke with DW about Tohti’s work and the significance of the award. DW: Why is the Weimar Human Rights award important for shedding light on human rights issues in China and Tohti’s activism? Ulrich Delius: The award is very important for human rights because Tohti is one of China’s most prominent political prisoners. He was sentenced to life in prison and has been incarcerated for almost four years. Even dedicated human rights activists can quickly be forgotten. That is why this award and this man are so enormously important. Tohti is not only a committed human rights activist; he is someone who could be part of the solution regarding many problems in the multi-ethnic society of the People’s Republic of China. How could Tohti, who at the time was teaching in Beijing, be sentenced to life in prison in 2014? It was also hard for us to comprehend that he was charged with separatism – which means the violent separation of national territory from the country. This is something that he never did. 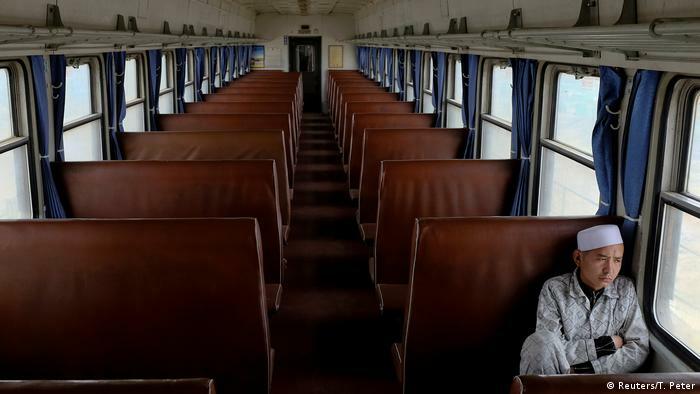 He said, “I am Uighur, but I teach here at the Central University of Nationalities in the capital city and I try to be a mediator between cultures.” This meant that he was speaking to China’s majority population about Uighur concerns and what was making Uighurs upset. Tohti asked why Uighurs were calling for human rights and not receiving them. He asked why China’s autonomy law was not being applied in Xinjiang. Tohti was a mediator between cultures and this is precisely why he seemed so dangerous in the eyes of Chinese authorities. They spent months researching him and more or less forced his students to make statements in order to put him behind bars. For someone like myself, who has been working on China issues for more than 30 years, it was frightening to recognize that China officially has no interest in dialogue. It has no interest in settling tensions, but rather depends on these tensions. Why else would they lock this man up for life? Why, when he could have been the key for peace and stability in an unstable region? 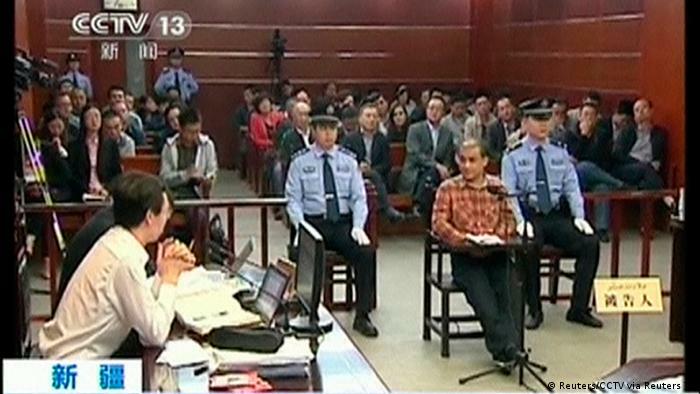 Are there any signs of possible leniency towards Tohti from Chinese authorities? After the city was not intimidated by this, the website of the Weimar Human Rights Award suddenly disappeared from the Internet. We are convinced that this can be traced back to Chinese hackers. And it shows that this man is simply considered to be a public enemy. China is not afraid of Xinjiang breaking off from the rest of the county. They fear Tohti’s persistent calls for dialogue and for reconciliation between the various ethnic groups, the Han and the Uighurs. They fear his calls for the rule of law. If they only would listen, then the problems in this region would be drastically reduced. Read more:The Hui – China’s preferred Muslims? It is, however, undisputed that there have been terror attacks by radical Uighurs in recent years against Chinese in Xinjiang and elsewhere in China. Tohti never justified this violence, but rather tried to explain it as a consequence of the continual disregard of Uighur human rights. These abuses include a de-facto prohibition on communication. 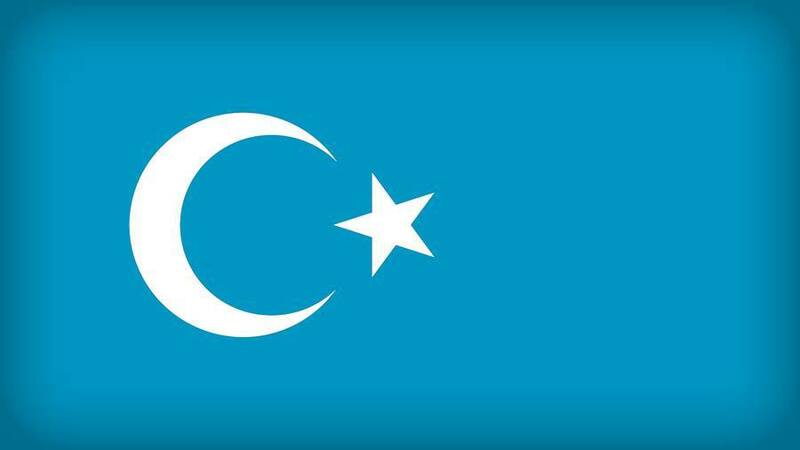 Whether people are talking on the phone, on Skype or other social networks, it has become impossible for Uighurs to freely communicate without the feeling that they already have one foot in prison. 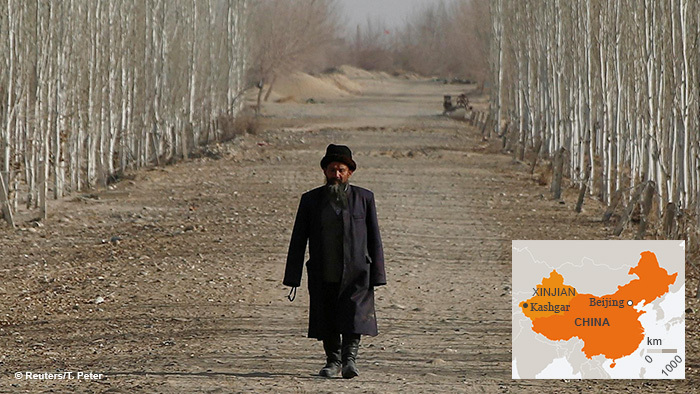 Xinjiang is a region that is experiencing a massive level of restriction on Internet and communication freedom – along with freedom of movement. It is even on a greater level than we see in Tibet. Right now Xinjiang is a technology hotspot for the state security apparatus. It is where they are testing out artificial intelligence, face recognition software, etc, in order to watch and control the movement of everyone living there. For example, Uighurs are required to pass a special test to qualify for a driver’s license, because they are considered to be potential terrorists in the eyes of Chinese security authorities. And looking at the larger legal picture, there is no other region in China with so many legal proceedings on undermining state power. 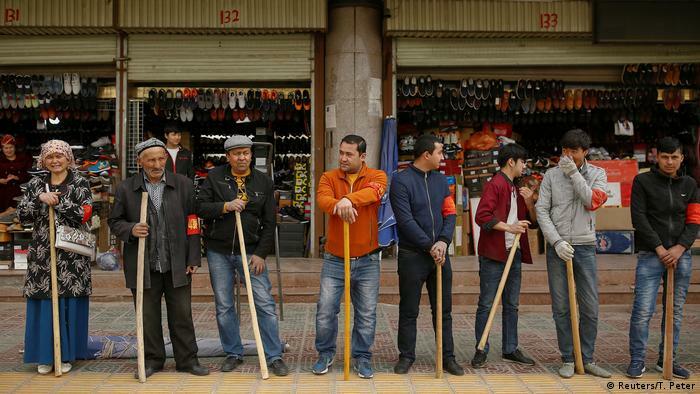 Three times a day, alarms ring out through the streets of China’s ancient Silk Road city of Kashgar, and shopkeepers rush out of their stores swinging government-issued wooden clubs. In mandatory anti-terror drills conducted under police supervision, they fight off imaginary knife-wielding assailants. 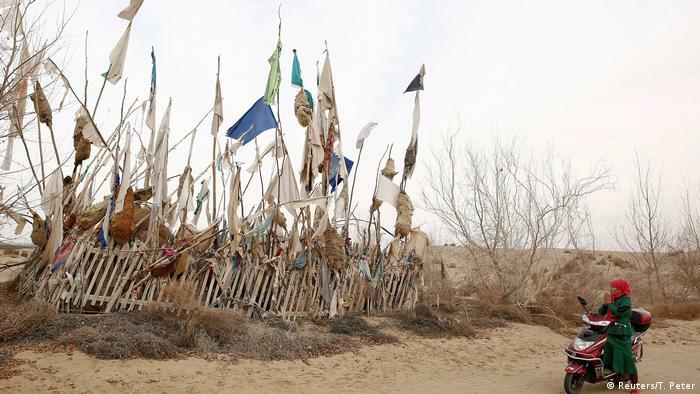 An ethnic Uighur man walks down the path leading to the tomb of Imam Asim in the Taklamakan Desert. A historic trading post, the city of Kashgar is central to China’s “One Belt, One Road Initiative”, which is President Xi Jinping’s signature foreign and economic policy involving massive infrastructure spending linking China to Asia, the Middle East and beyond. 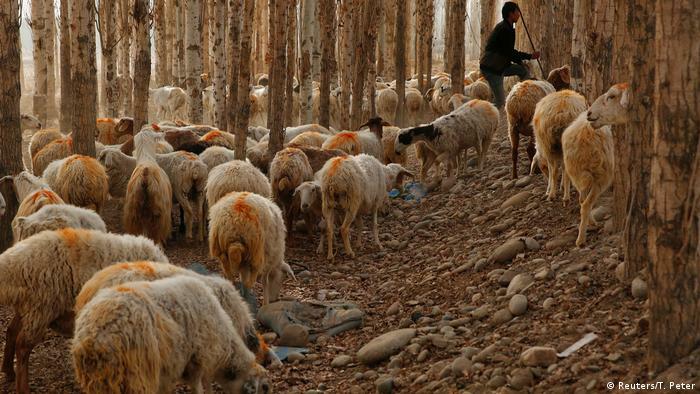 A man herds sheep in Xinjiang Uighur Autonomous Region. China’s worst fears are that a large-scale attack would blight this year’s diplomatic setpiece, an OBOR summit attended by world leaders planned for Beijing. 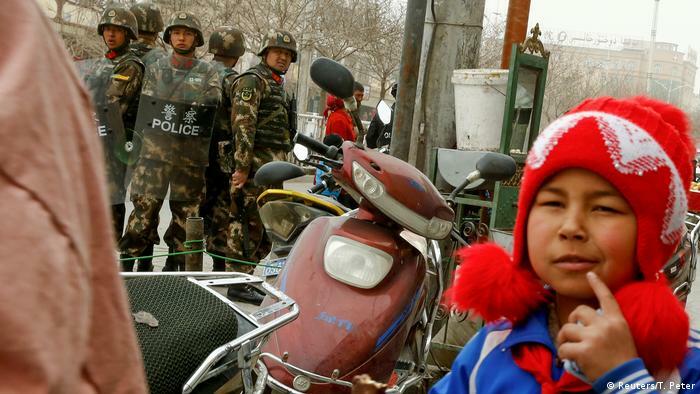 Since ethnic riots in the regional capital Urumqi in 2009, Xinjiang has been plagued by bouts of deadly violence. Chinese state media say the threat remains high, so the Communist Party has vowed to continue its “war on terror” against Islamist extremism. For example, Chinese authorities have passed measures banning many typically Muslim customs. The initiative makes it illegal to “reject or refuse” state propaganda, although it was not immediately clear how the authorities would enforce this regulation. 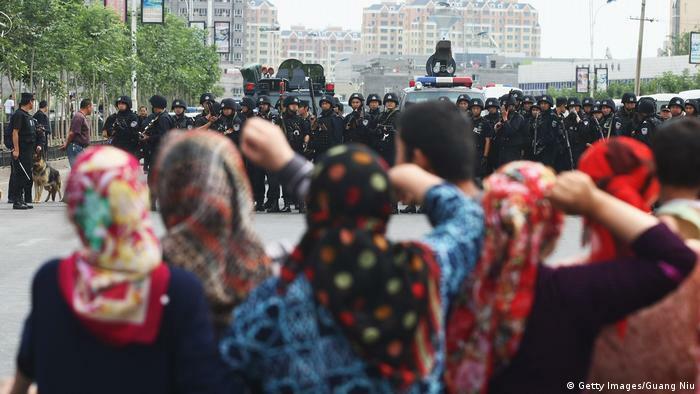 Many residents say the anti-terror drills are just part of an oppressive security operation that has been ramped up in Kashgar and other cities in Xinjiang’s Uighur heartland in recent months. 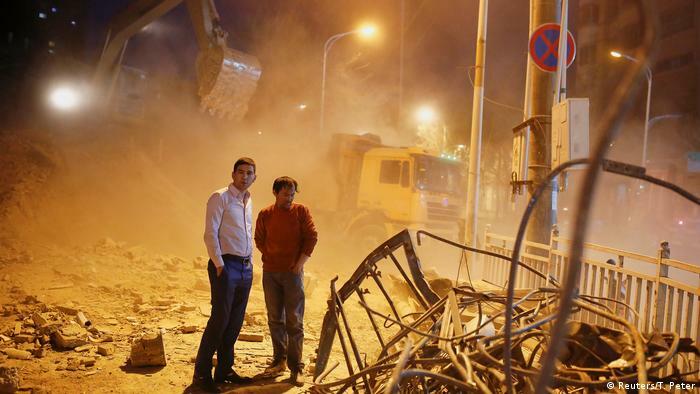 For many Uighurs it is not about security, but mass surveillance. “We have no privacy. 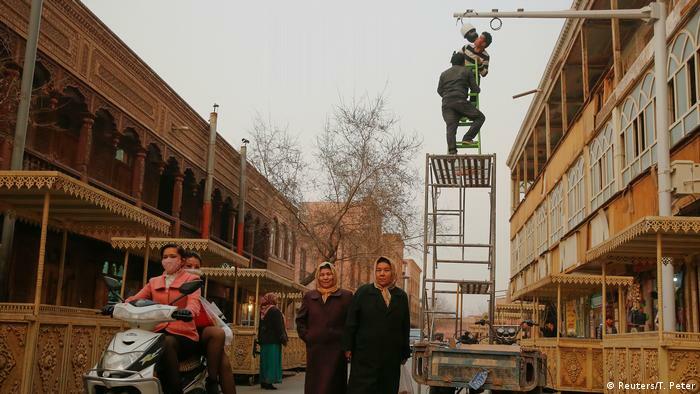 They want to see what you’re up to,” says a shop owner in Kashgar. 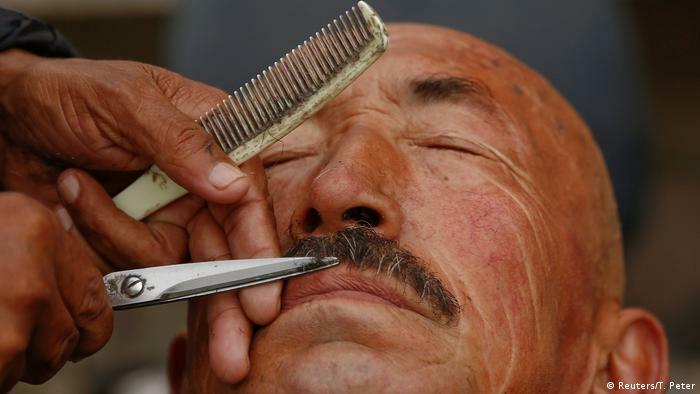 The most visible change is likely to come from the ban on “abnormal growing of beards,” and the restriction on wearing veils. Specifically, workers in public spaces, including stations and airports, will be required to “dissuade” people with veils on their faces from entering and report them to the police. Authorities offer rewards for those who report “youth with long beards or other popular religious customs that have been radicalized”, as part of a wider incentive system that rewards actionable intelligence on imminent attacks. Human rights activists have been critical of the tactics used by the government in combatting the alleged extremists, accusing it of human rights abuses. China routinely denies pursuing repressive policies in Xinjiang and points to the vast sums it spends on economic development in the resource-rich region. James Leibold, an expert on Chinese ethnic policy says the focus on security runs counter to Beijing’s goal of using the OBOR initiative to boost Xinjiang’s economy, because it would disrupt the flow of people and ideas.